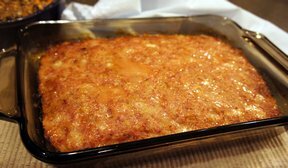 Mix together ham loaf, milk, eggs and cracker crumbs; form into loaf or balls. For Sauce, mix sauce ingredients together. 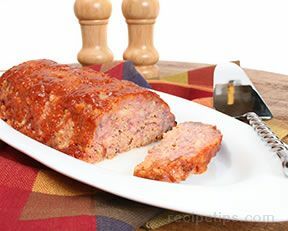 Bake ham loaf without sauce 350° for 1 1/2 hours for loaf (45-60 minutes for balls). 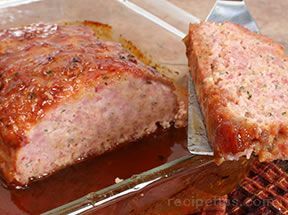 Put sauce over for last 30 minutes and baste every so often.